With two games under their belt this season, the Roughnecks are enjoying an early bye week. And just in time for the holidays, no less. Their Christmas present is getting to be home with family, rather than playing a game this weekend. “Obviously, I think the most important thing for these guys is to enjoy their family time,” said coach Curt Malawsky. “You never know what’s coming up down the road, so you’ve got to spend time with loved ones. That’s so important. 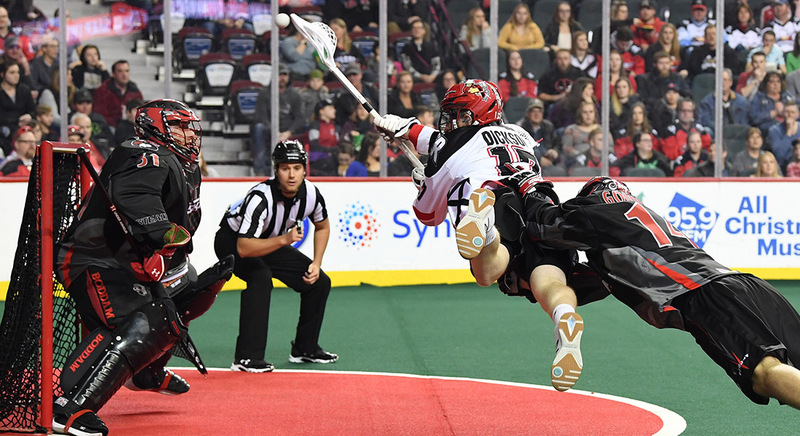 Calgary returns to action on Dec. 29 at the Scotiabank Saddledome as they face the Colorado Mammoth in a New Year’s Party. Coming off an important 15-12 win at home over the Vancouver Stealth that saw him record his first career hat-trick, forward Holden Cattoni wouldn’t mind keeping his stick in his hand. “I think it’s unlucky that we’re going into the break after a nice win,” he said. On the other hand, the time off does present some benefits for the Roughnecks as a whole. “I think we’re lucky, too, because we had a few guys go down in the game, we were a bit think on the back-end throughout the game, so it gives us some time to get guys healthy and guys back in the lineup,” he said. With a week to relax, hang out with family and friends, and enjoy all of the Christmas celebrations, they know they’ll have to come back with the same energy and focus they showed in their Week 2 victory.